Logitech today announced the Logitech G502 Proteus Spectrum Gaming Mouse. By adding RGB customizable lighting the Logitech G502 Proteus Core, the world’s best selling gaming mouse just got even better. The Logitech G502 Proteus Spectrum features Logitech’s most powerful and accurate optical sensor, the PMW3366, for maximum performance and tracking accuracy and the exclusive Logitech G Delta Zero optical sensor technology that increases reliable targeting. The Logitech G502 Proteus Spectrum also features a huge DPI range of 200 to 12,000 with zero sensor acceleration, zero smoothing or filtering and zero pixel rounding. Match your style and environment by adjusting up to 16.8 million colors and brightness, using Logitech Gaming Software (LGS). Bring your mouse to life with breathing light patterns, or set your lighting to continuously cycle through the color spectrum. The lighting can also be synchronized with Logitech G’s other RGB products.The textured rubber grips and a convenient button layout ensure great feel and performance from your first encounter with the mouse. The Logitech G502 Proteus Spectrum includes individual left and right buttons that provide a rigid and stable platform, resulting in precise, durable and satisfying clicks. Mechanical micro-switches under each button further enhance feel, speed and accuracy. The dual-mode hyper-fast scroll wheel offers enhanced click-to-click precision and lightning-fast scrolling for the Web. 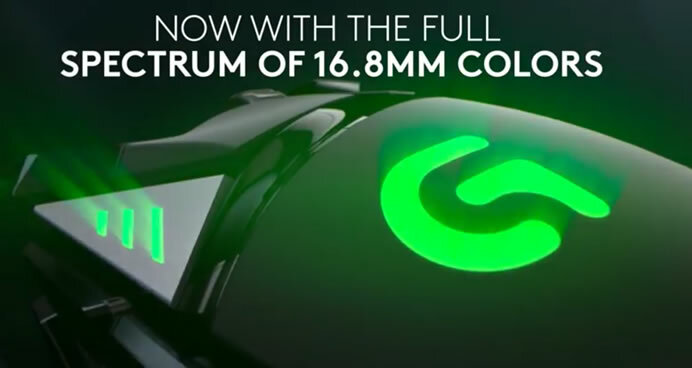 The G502 Proteus Spectrum and is expected to be available in the U.S. and Europe beginning January 2016, for a suggested retail price of $79.99 and €89.